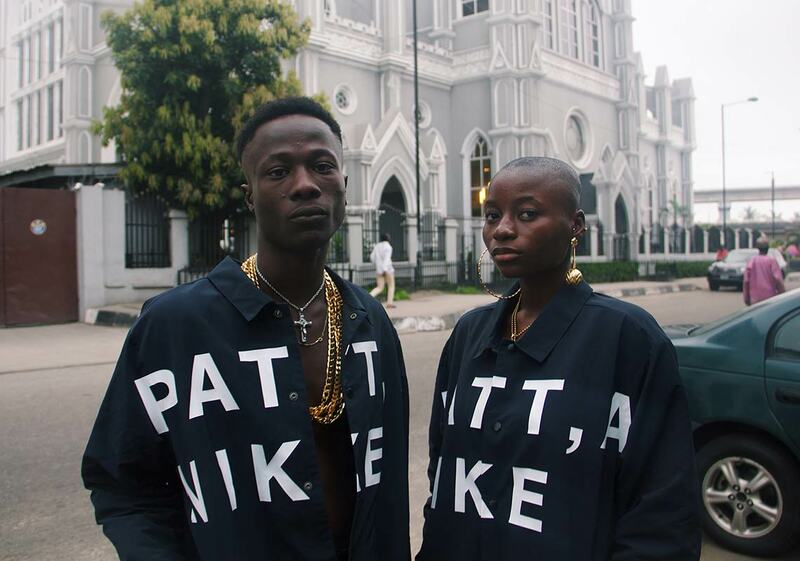 Standing among Nike’s longest-tenured and most well-respected collaborative partners, Amsterdam’s Patta has lent their sportswear-inspired touch to some of the Swoosh’s most recognizable silhouettes. From legendary Air Max 1s to their upcoming Air Span II, the Dutch masterminds have a clear vision for their collaborations — one that connects intimately with the sneaker-loving public. Now the heavy hitters are back again for another collaboration titled “Publicity. Publicity. Wohooooow!” inspired by the “happenings” of avant-garde 1960s artists. 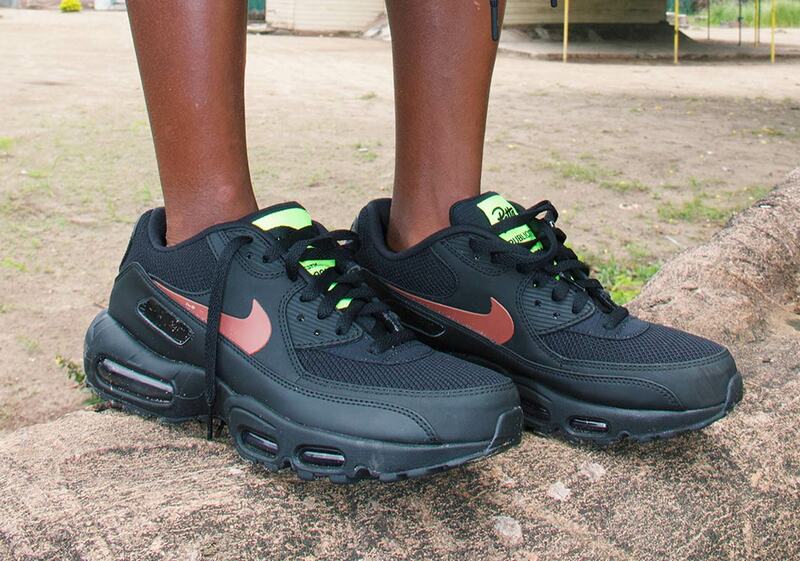 They’ve even created on a brand-new silhouette to serve as the centerpiece: an Air Max 95/90. Combining the bulky midsole and outsole of an Air Max 95 with the layered upper of the Air Max 90, the hybrid sneaker fits in perfectly with Nike’s recent trend of mashing together classic Maxes. Arriving in both a black/burgundy and a navy/white/burgundy, each shoe features a tonal upper with a burgundy swoosh for a pop of color, and replaces the medial/lateral heel’s classic plastic Air Max embellishments with a branded Patta hit. A large neon tag then appears on the tongue for a final dash of bold sportswear flair. The shoes are also accompanied by an extensive capsule collection of co-branded apparel that features everything from light jackets to cargo pants and sleek running caps. Fan of the collection? 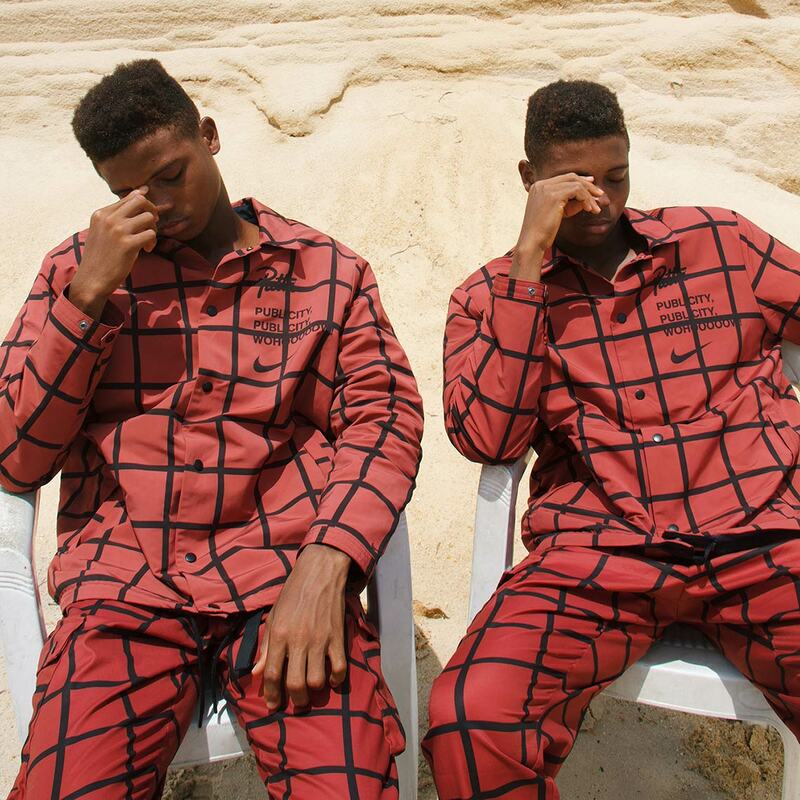 You can expect it to first release at Patta locations October 20th, then roll out globally on the 27th. 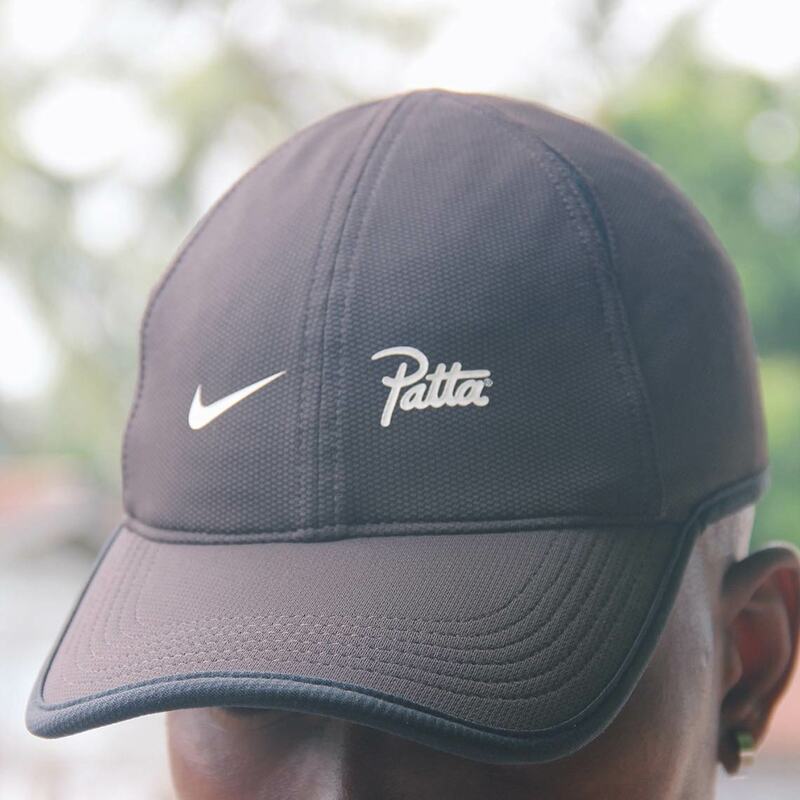 Get a look at the shoes (and apparel) from the collection below, and let us know what your favorite classic Patta/Nike collaboration is as well. 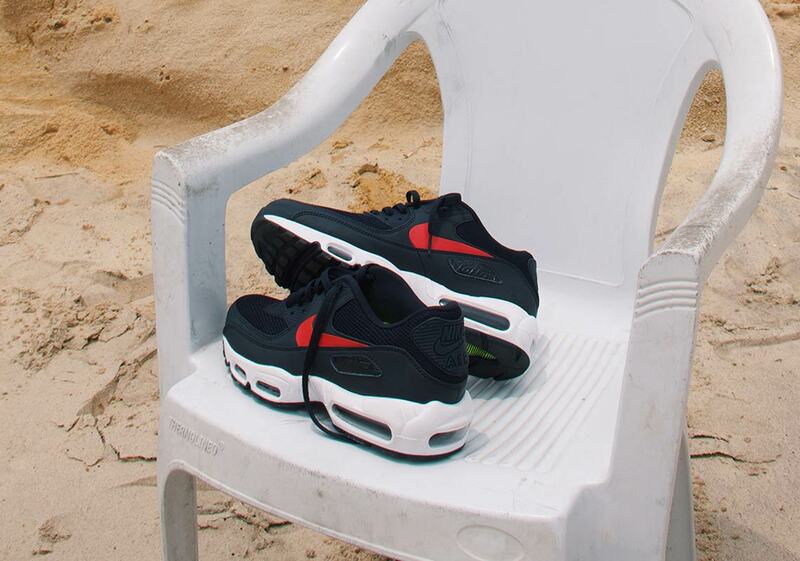 The post Patta And Nike Collaborate On A New Air Max Hybrid For “Publicity” Collection appeared first on Sneaker News.